Most of the good books or essays that have a lasting impression on the reader usually end with a good conclusion. Such is the effect conclusion imparts to any written piece of prose. Interestingly, concluding a written work is a tricky task that can go wrong if not taken care of. Many students write great essays but when it comes to the conclusion, it is rather bland and dull. To get over this problem an understanding of the role of the conclusion in the essay is essential. A conclusion should stress upon the significance of the topic discussed, establish the completeness of the essay and most importantly must leave an impression on the reader. While writing a conclusion, the key ideas/points explained in the essay have to be summarized. This is generally necessary for longer essays, but can be done with shorter ones also. One crucial issue, which needs caution, is that while summarizing, you should avoid repeating the same sentences used in the essay, but instead can review the ideas expressed to persuade the reader and/or teacher. A good concluding sentence should transcend the scope of the discussion from the specific context to a general viewpoint. This reflects the expansive focus of the concept and its implications in the broader scenario, which gives the reader a perspective to relate better to the discussion. You can also grab the attention of the reader by leaving them something to ponder upon. This can be done by closing the essay uniquely putting forward a thought-provoking question or using an apt quotation, or by revealing some astounding statistics supporting the concept discussed. Echoing or Framing is another commonly used strategy when concluding a written piece of work. It involves reiterating ideas suggested in introduction and also ending in the same perspective thereby, validating new understanding the discussed concept has brought about. You should be aware of the fact that the conclusion is the last thing that the teacher will go through before evaluating the essay. So, this is the last chance to convince him or her about your ideas. Therefore, the fervor with which you effectively express your thoughts is highly significant in determining how long-lasting impression will the essay leave on the mind of the teacher. While the above-mentioned strategies help in writing a good conclusion, there are few things that you should watch out while concluding the essay. Phrases like “In conclusion”, “In summary”, “To conclude” or “To sum up” are unnecessary and should be avoided, as it is quite obvious to the reader that it is the end of the essay. Another mistake, which should be avoided, is elaborating on any concept with an in-depth explanation, as this should be done in the body of the essay. While trying to talk about the implications of the concept discussed, you should make sure not to introduce any new thought that is not expressed in the whole essay. This can confuse the teacher and may ruin the impact already generated. 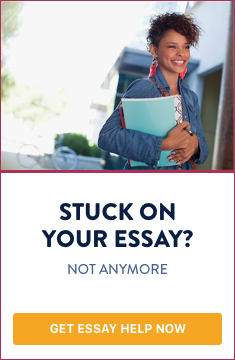 If proper care is taken to address all the aspects mentioned above, the essay can be concluded effectively creating a memorable experience for the reader.